Nested Bean contacted me telling me they introduced a new swaddle called the Zen Swaddle Classic and I had to have my hands on it! It's been a few months since I've written a review on their Premium Swaddle here and let me tell you, the Zen swaddle is little man's favorite. We love the Premier but the Zen Classic is perfect for summer! It's light weight and the cotton is super duper soft. He use to have a love hate relationship with being swaddled but now it's an essential part of our bedtime routine. He is knocked out in two minutes flat after being swaddled in the Zen! 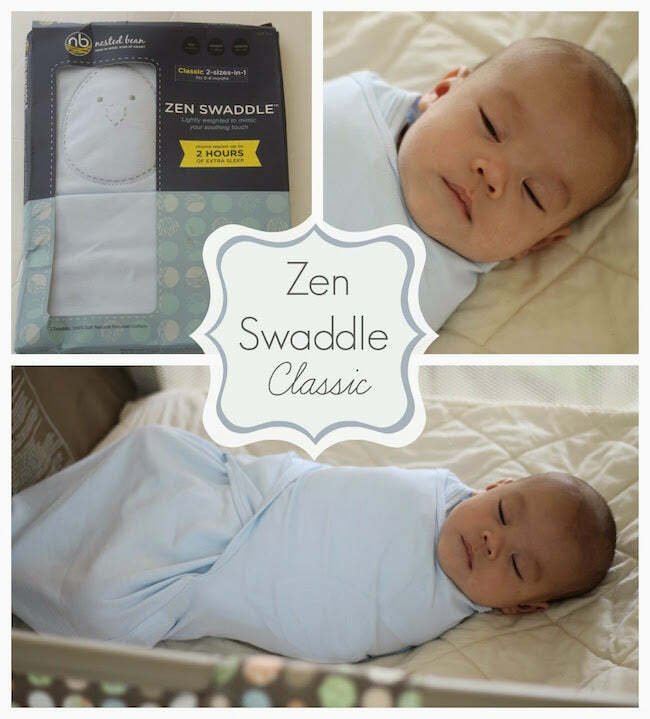 The Classic is also lightly weighted, which is what makes the Zen different than other swaddles. It's what I love about these swaddles. Again, this doesn't affect it when washing. Just Velcro it shut, wash and dry. The Peruvian cotton just seems to get softer with each wash. He's already sleeping in two six hour shifts and being swaddled is part of the reason. On those rough days I also swaddle for naps and he will sleep for two to three hours all wrapped up. I can't get enough of watching him sleep. So sweet!